Claude Kleynhans was a professional hunter. 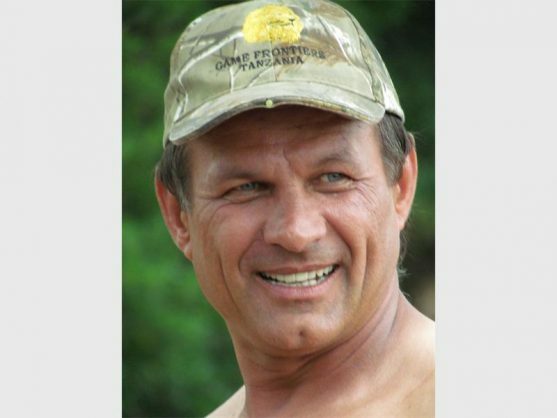 The 54-year-old was the owner of Guwela Hunting Safaris in Limpopo. A buffalo killed Professional Hunter (PH) Claude Kleynhans (54) in what is believed to have been a freak accident on the banks of the Levubu River shortly before midday on Tuesday. Bosveld Review reports that Kleynhans was the owner of Guwela Hunting Safaris. It is believed the buffalo hit a femoral artery and Kleynhans died almost instantly. His ex-wife, Corina van der Merwe, speaking from Kleynhans’ farm in Agatha, said Claude and his party had shot and killed a buffalo as planned. They were going to clear the bush around the carcass and load it when another buffalo blindsided Kleynhans. Kleynhans, a fervent Christian, grew up in Modjadjiskloof and joined the police before moving into the professional hunting world. He knew the bush well and understood conservation as well as trophy hunting. He leaves three children, Marina, Jolene and Alec, his father John, and siblings Jannie, Elizabeth, Keri-Lynn and Anton. Funeral arrangements were yet to be announced.